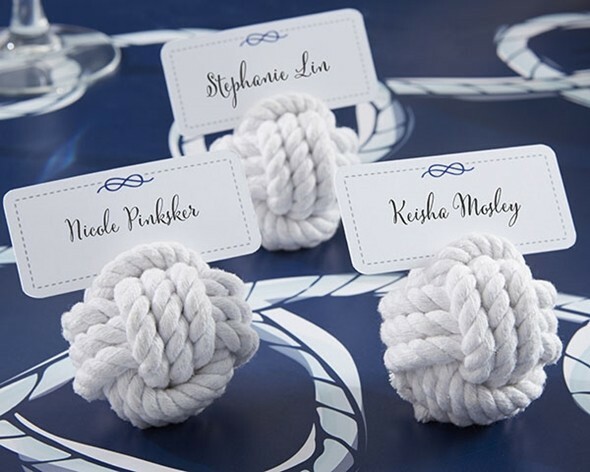 Each of these natural cotton rope place card holders have been tied into a "monkey's fist" knot, traditionally used by sailors because it holds its shape and won't roll away. The pictured place cards featuring a blue knot with a dotted border are included. PLEASE NOTE: Sold as a set of six (6) and prices quoted below are per set.